Você esta aqui:Home > FAQ > Anxiety: Does cannabis cause anxiety or does it reduce anxiety or may both occur? Anxiety: Does cannabis cause anxiety or does it reduce anxiety or may both occur? Although euphoria is the more common reaction to smoking marijuana, adverse mood reactions can occur. 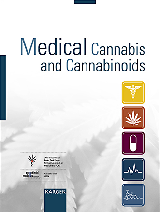 Such reactions occur most frequently in inexperienced users after large doses of smoked or oral marijuana. They usually disappear within hours and respond well to reassurance and a supportive environment. Anxiety and paranoia are the most common acute adverse reactions, others include panic, depression, dysphoria, depersonalization, delusions, illusions, and hallucinations. Here we show that the endogenous cannabinoid system has a central function in extinction of aversive memories. (…) Mice were trained to associate a tone with an electric footshock (conditioning). After conditioning, animals shivered when they heard the tone. This response served as an indicator of aversive memory, and is gradually extinguished on repeated tone presentations. 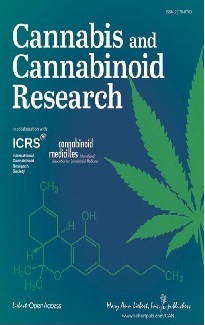 (...) Mice without cannabinoid-1 receptors showed strongly impaired short-term and long-term extinction of the aversive memory (...). It has been argued that the neuronal circuitry underlying fear conditioning has similarities to that responsible for fear-related clinical conditions, such as post-traumatic stress disorder. Behavioural therapies for these conditions - including systematic desensitization and imagery therapies - share features with extinction. The finding that the endocannabinoids contribute to extinction raises the possibility that drugs that target these molecules and their receptors could be useful new treatments for anxiety disorders. Finally there is much anecdotal evidence of patients using cannabis heavily in the early stages of psychiatric illness. This has often been thought to contribute to acute illness. But it seems possible that it may instead be a form of self-medication for the sometimes extreme anxiety that these people experience. I would like to present a case of successful cannabis use in panic attacks. A Swiss who was suffering from panic attacks recently reported me, that cannabis use was very helpful for him between the attacks. He had not used cannabis during the attack since it would be too late then.